This nasty looking horror from the undead realm is sure to be the hit of your next Halloween night. The Decayed Zombie Mask is the ultimate addition to any rotting corpse costume and is inspired by a Tales From The Crypt story. This mask covers the entire head when worn and is thoroughly detailed with swamp green skin, yellow teeth, withered ears, and stringy black hair. You would not want to come face to face with this disfigured monster. 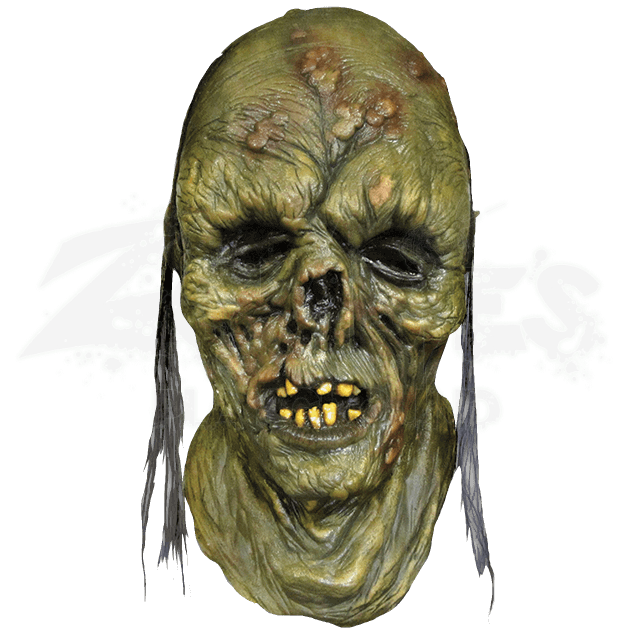 This mask has the versatility to be a part of a variety of different swamp creature or zombie costumes. Pair this dreadful mask with some tattered old clothes and you will be sure to haunt those who see it.